The Republican tax plan is a dumpster fire. Let's take out the trash. Passing this disgraceful bill sends a message: The GOP only represents special interests and wealthy donors. I used to work on the back of a trash truck to help pay for college; I know garbage when I see it. And the Republican tax plan is a dumpster fire. This bill was written for Donald Trump’s wealthy friends on Wall Street, not for American families. We’ve seen this before: Republicans vote for massive giveaways to the richest corporations and individuals at the expense of the middle class while pretending their bill will create jobs for working families. But this is even worse. For starters, the new bill House Republicans will vote on this week doesn’t just give millionaires and billionaires a break. It would trigger $25 billion in cuts to Medicare and repeal the Affordable Care Act’s individual mandate, causing premiums to rise and kicking 13 million people off their health insurance. This is the most shameful and cynical attempt yet by Donald Trump, Mike Pence and Republicans in Congress to sabotage our health care system. They couldn’t get enough support to repeal the ACA, so now they’ve resorted to disguising their sabotage as a tax bill. 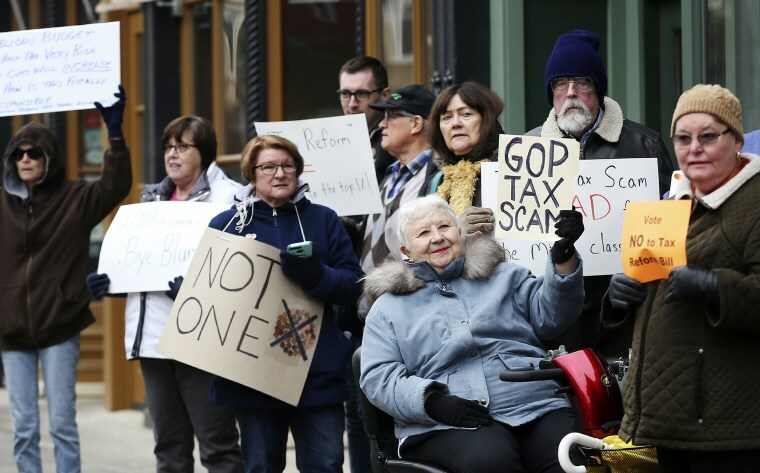 On top of their health care deceit, Republicans want to cut education funding and mortgage deductions that middle-class families rely on, while blowing a $2 trillion hole in the deficit. We know Republicans have tried this kind of voodoo economics in the past. It failed then and it will fail now. It’s no wonder so many groups have come out in opposition to this disastrous tax bill. The American Council on Education warned that the legislation will increase the cost of college for students and their families; the AARP called the bill a “health tax on millions of Americans with high medical costs”; and the National Association of Home Builders also blasted the GOP plan, which will make it even harder for working families to buy a house. This tax plan is a scam to rip off working families – plain and simple. It hurts students and small-business owners, home buyers and those with high medical costs. It hurts American workers by rewarding corporations that move jobs overseas. And it hurts older Americans by making it harder and more expensive for them to save for retirement. By passing this disgraceful legislation, Donald Trump, Mike Pence and the Republicans in Congress would be sending a message to the American people that they only represent the special interests and wealthy donors who fund their campaigns. Democrats believe that we should reform our tax system to work better for the middle class, not Wall Street bankers. And we will fight tooth-and-nail to make sure this bill never makes it to Donald Trump’s desk. 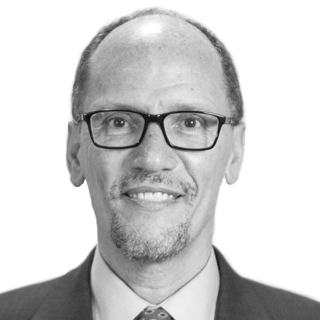 Tom Perez is the chair of the Democratic National Committee, and previously served as Secretary of Labor in President Obama’s administration.